An ACTION CAMERA or action-cam is a digital camera designed for filming action while being immersed in it. 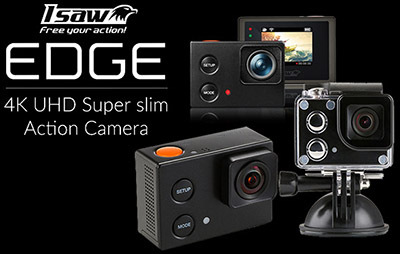 Action cameras are therefore typically compact and rugged, and waterproof at surface. They typically record video as a priority over stills, as this allows continuous capture of the action without having to interact with the camera or indeed removing it from its housing, if an additional protective housing is used. Most record on a micro SD card, and have a Micro-USB connector. 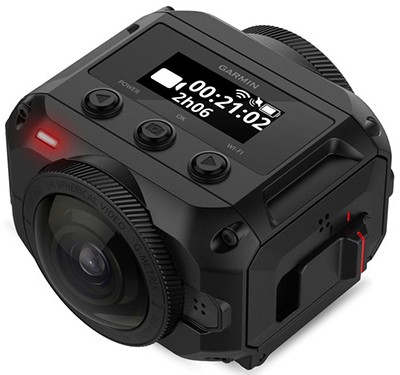 Action cameras are associated with outdoor sports, and, often attached to helmets, surfboards or handlebars, are an integral part of many extreme sports such as base jumping and wingsuit flying. Sometimes several cameras are used to capture specific perspectives, such as a helmet camera that sees the perspective of the actor in combination with a second camera attached to the environment of the rider, such as a board, wing, handlebar or wrist, that looks back onto the rider and records his reactions. Action-cams may therefore be referred to as helmet cams and by other similar names. 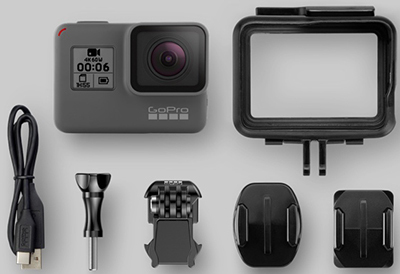 The category is associated with the GoPro range of cameras, and many action cameras come with a GoPro mount adapter to take advantage of the accessories available for these cameras. 6 TIPS FOR SNAGGING EPIC SNOWSPORTS ACTION CAM FOOTAGE - Wired. 10 best GoPro and Action cameras 2016 - TechRadar. Best Action Cameras 2018 - tom's guide. Body worn video - Wikipedia. DJI’s stabilized Osmo Pocket camera costs $349 - engadget. 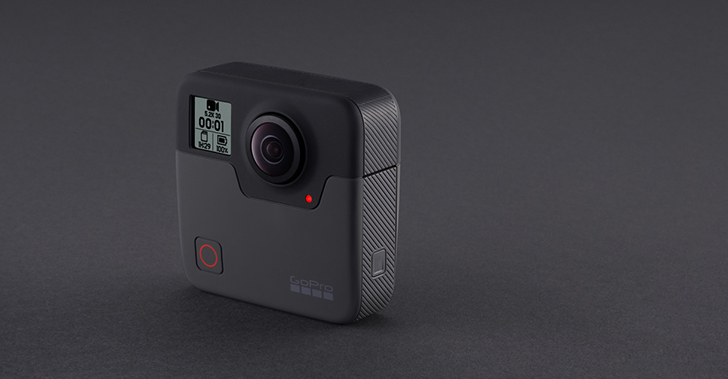 GOPRO ANNOUNCES A NEW $199 HERO CAMERA - Wired. GoPro Hero6 Black review - "The best action camera, with compromises." GoPro's Hero4 cameras offer 30 fps 4K shooting or touchscreen controls - engadget. GoPro’s new 360-degree camera will let you shoot first & pick images later - The Verge. GOPRO'S NEWEST HERO CAMERA IS BORING & IMPORTANT ALL AT THE SAME TIME - The Verge. GoPro shoots for a comeback with its latest camera - "After a rough year, GoPro gets back to basics." Insta360 One is a 360-degree camera with a really clever trick up its sleeve - The Verge. Olympus joins the action camera race with its Stylus TG-Tracker - engadget. Ricoh's new action camera has an absurdly wide 204-degree field of view - The Verge. Rylo 360-degree video camera now works with Android - engadget. Rylo is a game-changing 360-degree camera from the makers of Hyperlapse - The Verge. 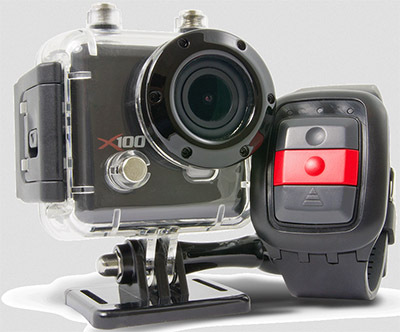 Sony Action Cam FDR-X1000V - engadget. 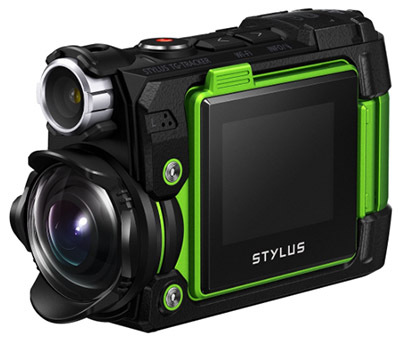 You can drop, drown, and crush Olympus' new 4K action camera - The Verge. DJI Osmo Pocket - "3-Axis Stabilized Handheld Camera." 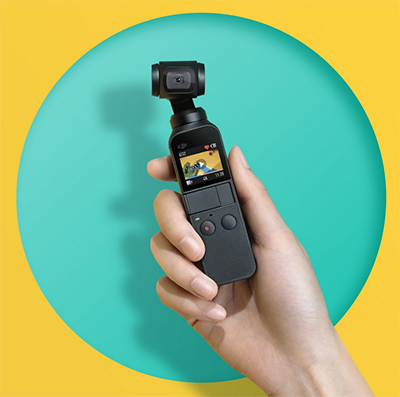 DJI Osmo Pocket is a compact 3-axis stabilized handheld camera that turns any moment into a cinematic memory. Garmin cameras - "Without data, it's just video." All models. GoPro Cameras - since 2002. "We make the World's Most Versatile Camera. Wear it. Mount it. Love it." All models. GoPro Fusion - "Relive reality. The most versatile GoPro ever." VR. OverCapture. Gimbal-like stabilization. Capture your world and see it like never before - from every angle with no limits. Create awesome traditional videos from spherical footage right on your desktop. Bring everyone in the moment with you. Shoot in all directions in stunning 5.2K. GoPro HERO6 Black - "Six Appeal." Twice the performance. With its all-new GP1 chip, HERO6 Black delivers 2x the performance of HERO5 and our best image quality yet. GoPro HERO5 Black - "Powerfully simple." Get the shot, then kick back as your footage moves to the GoPro app and transforms into an awesome video—automatically. GoPro HERO5 Session - "When size matters." Get the shot, then kick back as your footage moves to the GoPro app and transforms into an awesome video—automatically. GoPro HERO Session - "GoPro, simplified." High resolution of 1440p delivers sharp, professional video. Frame rates up to 100 frames per second creates smooth slow-motion playback. 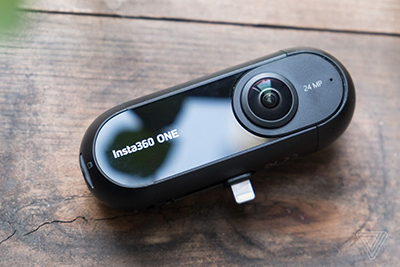 Insta360 - "The leader in 360 cameras." All models. ISAW - action cameras. All models. Kaiser Baas - action cameras. All models. 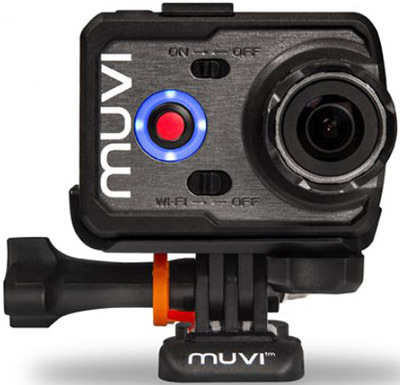 Muvi - action cameras. All models. 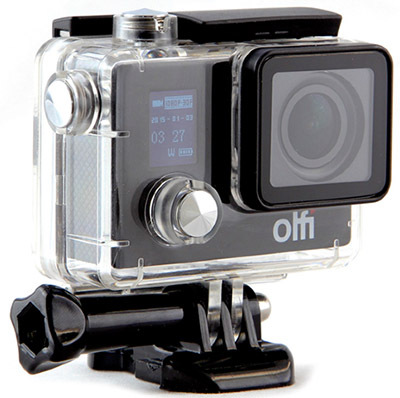 Olfi 4K HDR Action Cam - "Olfi runs on a powerful 1600mAh battery. This huge capacity battery leads to 4K recording times that out perform many other action cameras available today." Olympus Tough TG-Tracker - "Track Your Adventures in Ultra HD." 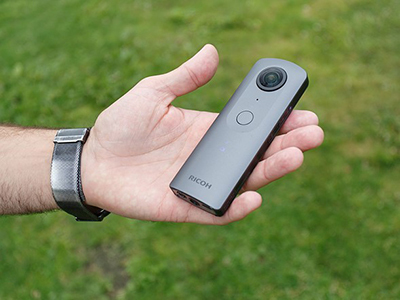 Ricoh Theta V - "Image data recorded on THETA V can be played back in 360° on a monitor such as TV." Rylo - "The powerful little 360° camera that shoots larger-than-life video." 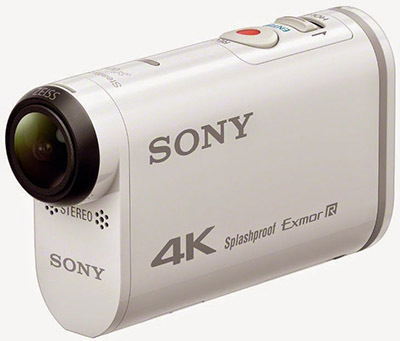 Sony Action Cam FDR-X1000V - "Amazing action, astounding 4K." 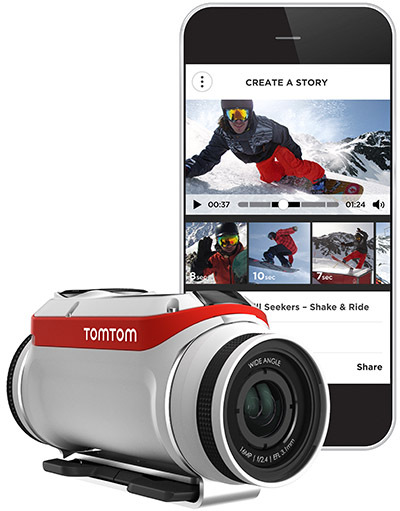 TomTom Bandit - "Edit & Share Your Action in Minutes."